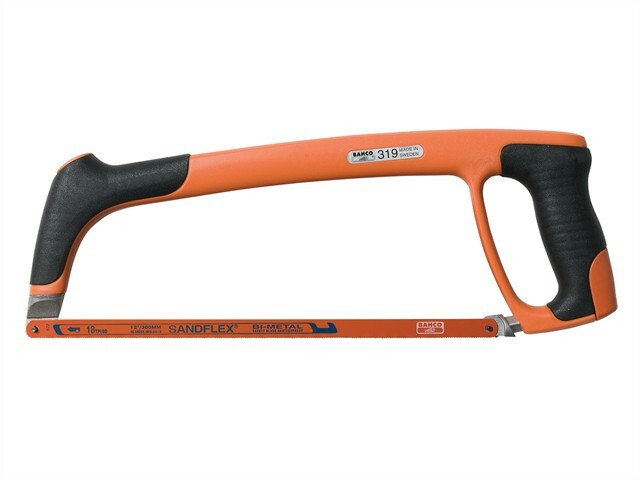 The Bahco 319 Professional Hacksaw Frame has a lightweight 2-component frame with steel core and is well balanced for straight cutting with maximum effect. No protruding parts for maximum accessibility, compact design for ease-of-use and the tensioning mechanism is integrated in the handle. The comfortable non-slip handle with front grip ensures positive handling and control and the alternative 55° pin mount allows flush cutting.